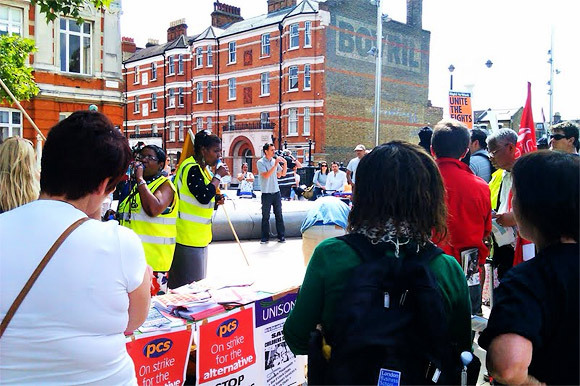 At 10am this morning, there was a joint ATL, PCS and ATL rally in Windrush Square, Brixton in support of the nationwide J30 Strike. 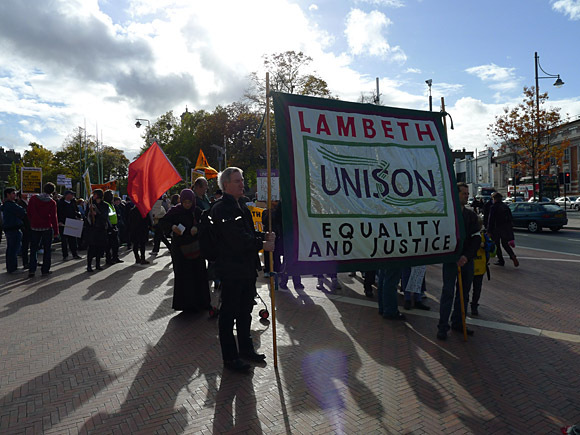 There was a fairly good turn out at the Brixton rally – over a hundred at least – and thanks go to Goldtop for these photos. 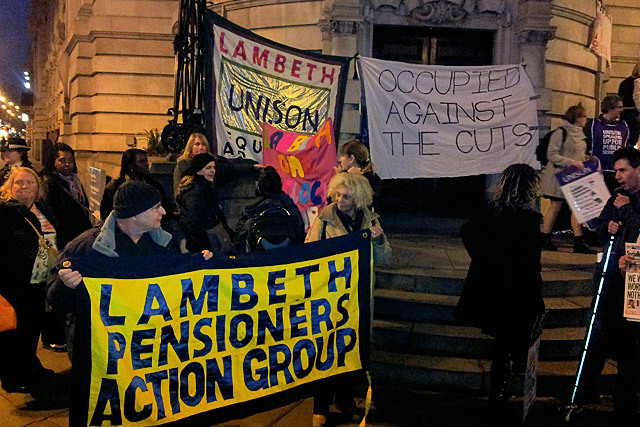 The action was part of a nationwide campaign against public sector cuts. Here’s how their website described the action. 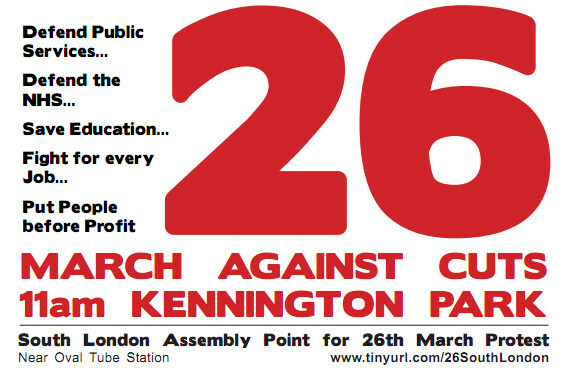 30th June 2011 may well turn out to be the most important step forward in a mass fight against public sector cuts. 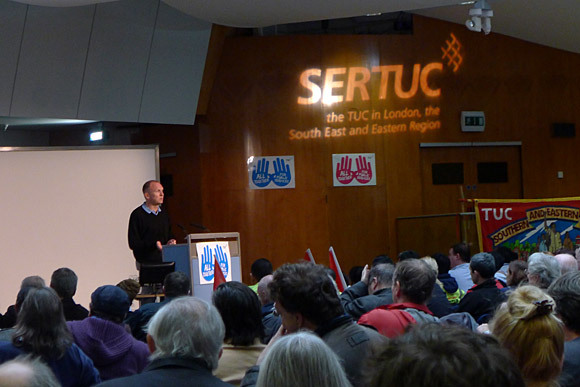 Hundreds of thousands of workers could be involved in strike action, from as many as four or five different unions including NUT, PCS, UCU and ATL. 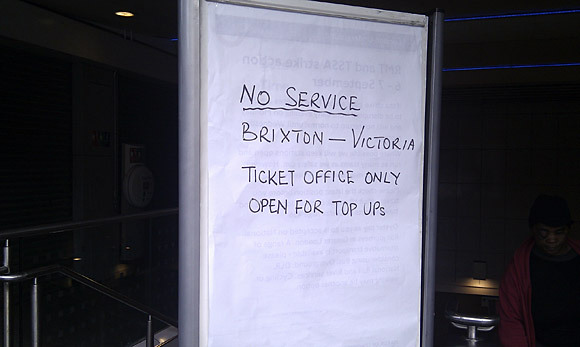 Often strike action can be ignored by those in power but also the vast majority of workers not in unions or directly effected by the issues. 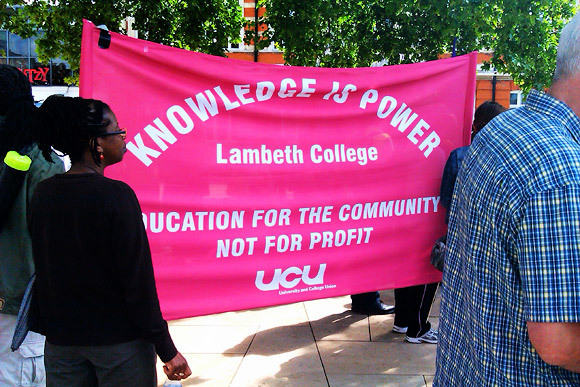 Therefore we, rank & file union members, students, precarious workers & unemployed are calling for a mass show of solidarity for those taking strike action and to generalise the strike on June 30th. From early morning pickets, direct actions, occupations & demonstrations – whatever you’re into – lets all do it on June 30th and amplify the resistance to austerity. 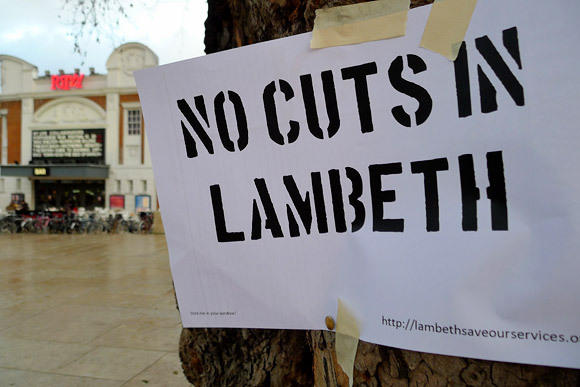 This call to action is going out to activist direct action groups, local anti cuts groups, radical political groups, radical unions and student university occupations. 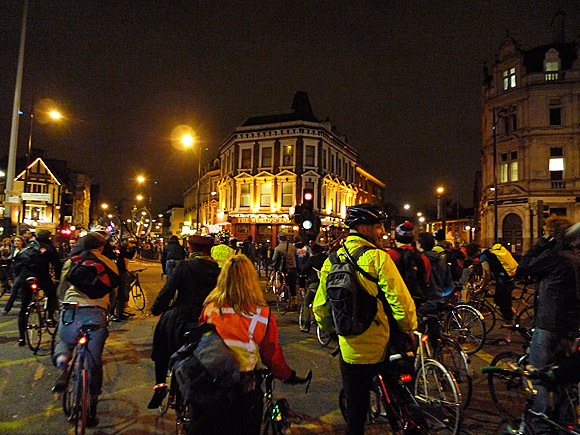 Earlier, the J30 Strike Critical Mass bike ride around south London attracted around 60 or 70 bikes, despite a 8am start. Discuss the J30 Strike day of action on our boards.